Assets and information for our community and the media. As a serial entrepreneur, Bill Zinger brings leadership, industry experience and an impressive track record of success to Blendtek. After 15 years as a sales leader with large corporations such as Xerox and Cannon, Bill acquired a small company, Kissner Milling, which serviced a regional market for salt products. After 20 years of building the management team, completing numerous acquisitions and imparting his personal values and work ethic, Kissner grew to be the market leader in supplying specialty de-icing products throughout North America. 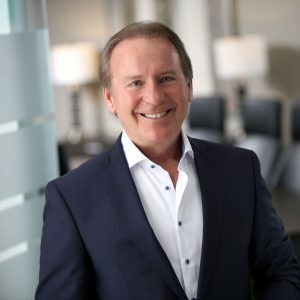 In Bill’s role as Chief Executive Officer, he continues to impart the values and entrepreneurial edge that will help propel Blendtek into its next phase of growth. Bill is a “Gearhead” and lives for racing, in particular, top fuel drag racing. Drag cars are the fastest cars on the planet and he’s driven them. When he’s not in the office or on the track, you will likely find Bill at the gym or in the boxing ring. At the age of 13, Steve took a job at his family’s business, Kissner Milling Co., doing everything from mowing the grass and sweeping warehouse floors to unloading ocean containers and making local deliveries. After graduating from Conestoga College with a Business Administration Honours degree, Steve took a full time position in purchasing at Kissner Milling Co., eventually convincing the leadership team to give him a shot in a sales role. With a passion for sales and customer service, Steve flourished in the role and solidified his interest in pursuing a business of his own. In 2014 Steve joined forces with Rob Bianchin, a long time friend, to acquire the ingredient distribution division from Kissner Milling Co. Together they established Blendtek Fine Ingredients, an innovative food ingredient and solutions company with a mission to challenge expectations and help fuel food innovation globally. Steve has a need for speed and is interested in anything that moves fast - cars, motorcycles, and boats are a few of his favourite go-fast vehicles. Food ingredient he is most excited about: Peanut butter flour. It’s a delicious, healthy flour that is high in protein and can be used in a wide range of applications for everyday use. Rob`s passion for fast-paced startups and high growth business environments has been a driving force in his entrepreneurial journey. 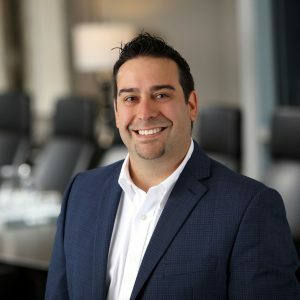 Known as a strategist, creative problem solver and data-driven decision maker, Rob excels in executing and managing next-generation sales and marketing methodology and implementation. Prior to acquiring and joining Blendtek, an innovative food ingredient and solutions company, Rob played a critical role in the expansion of a hyper-growth technology company into the United States. As a high performing sales manager working in San Francisco, the heart of the global start-up and technology community, Rob was responsible for landing high profile multimillion dollar accounts. He also hired and trained sales staff, a skill that proved to be important as Blendtek has experienced a 77 per cent increase in staff and 85 per cent revenue growth since 2015. If you have the chance to meet Rob, you’ll find out that he is quite a conservative guy in most aspects of his life but don’t let that fool you as he has been skydiving in Napa Valley and Baja Racing in Mexico. Food ingredient he is most excited about: Marine Phytoplankton (microalgae). It’s a sustainable, vegan, natural, and raw ingredient that fights against oxidative stress. Furthermore, it can be used in a variety of different functional applications for both food and personal care. 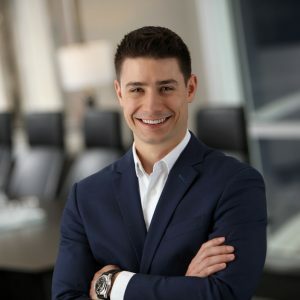 With a Bachelor of Science degree in Food Science and Nutrition from the University of Winnipeg, and over 15 years of experience working in the food industry, Ben is on the cutting edge of food innovation and delivering market-ready solutions. 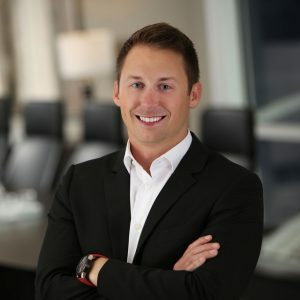 Ben’s expertise lies in providing food manufactures and developers with healthy offerings that taste great, contribute to production efficiency, and help position organizations at the forefront of market trends and demands. As a loyal fan of Italian food, Ben lives by the motto that food must be simple, healthy and accessible. This has led him to create proprietary recipes for Loblaws, Sofina Foods, and McDonalds. With a keen understanding and passion for the future of food, Ben is committed to new technologies, food systems and ingredients that will propel the market into a new era of functional foods. Ultimate favourite ingredient: Olive oil. It’s versatile and healthy to use in any application. Food ingredient he is most excited about: Brown rice syrup, a healthy sweetener that can be used 1:1 to substitute conventional sugar sources.